This tour is popularly known as the Durmitor Ring. 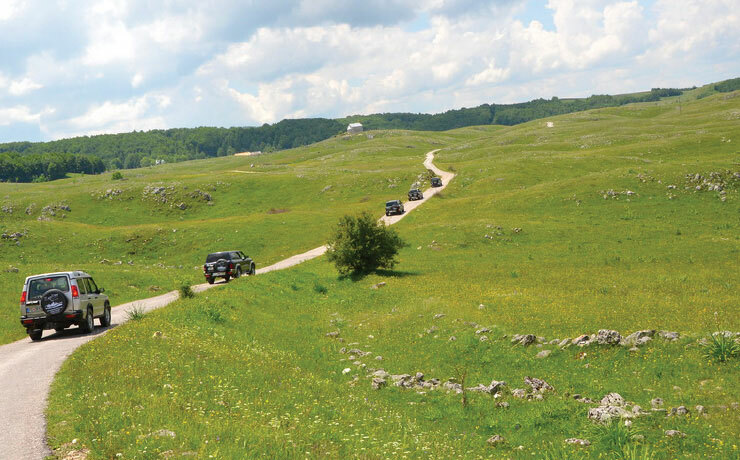 If you wish to experience the full beauty of Durmitor massif, we recommend driving a jeep through the Tara Canyon, the canyon Sušice, Nevidio, Nedajno and Trsa where we stop for a coffee break, then continue driving through the massif with magnificent views of Todorov do, Dobri do, Sedlo, Valovito Lake, Modro Lake, Savin kuk, Žabljak. The tour is 90km long, duration 5-6h. (From Splavište to Radovan port, 42km, duration 5-6h) During this rafting tour you will see the shortest and fastest river in Europe - Ljutica, the famous bridge on the Tara river, the monastery of Saint Michael the Archangel from the 13th century, the old Roman passage Lever Tara, the rapid Neviđen, the canyon of “semi opened book”, Mušova springs and White springs – a natural phenomenon, the Draga river canyon. The tour includes rafting, lunch and van transfer to your hotel. (From Splaviste to Radovan port, 42km, 5-6 hours.) 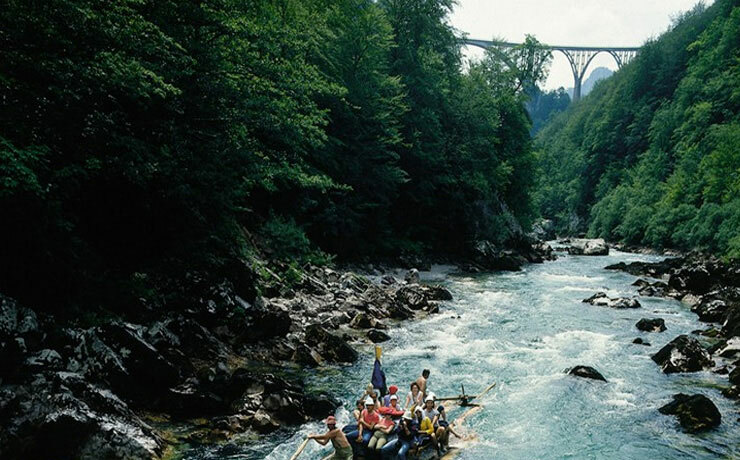 During the rafting you will see the shortest and fastest river in Europe - Ljutica, the famous bridge on Tara, 165m high, Tresnjicki beech where no one remained indifferent to the excitement, the monastery of St. Michael Ahranđela from the thirteenth century, the old Roman passage Lever Tara, Buk unseen, canyon semi open book, Mušova and White spring - a phenomenon nature, canyon Drage. 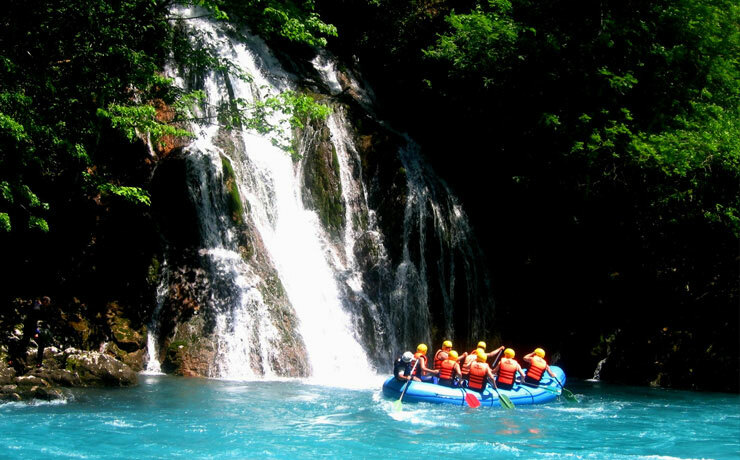 Tour includes raft, lunch and passengers transportation by vans to your destination. (Splavište - Šćepan polje) - Description: Day 1- rafting 42 km, 5-6h, from Splavište to Radovan port. 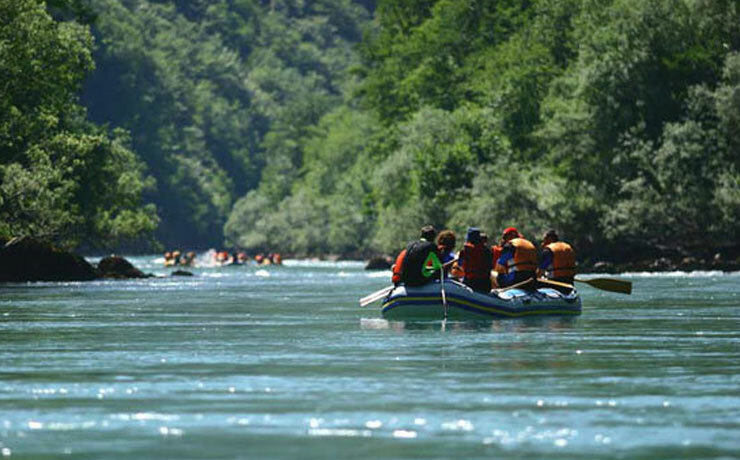 During this rafting tour you will see the shortest and fastest river in Europe - Ljutica, the famous bridge on the Tara river, 165m high, the rapids of Tresnjica, the monastery of Saint Michael the Archangel from the 13th century, the old Roman passage Lever Tara, the rapid Neviđen, the canyon of “semi opened book”, Mušova springs and White springs – a natural phenomenon, the Draga river canyon. Overnight camping in the canyon. 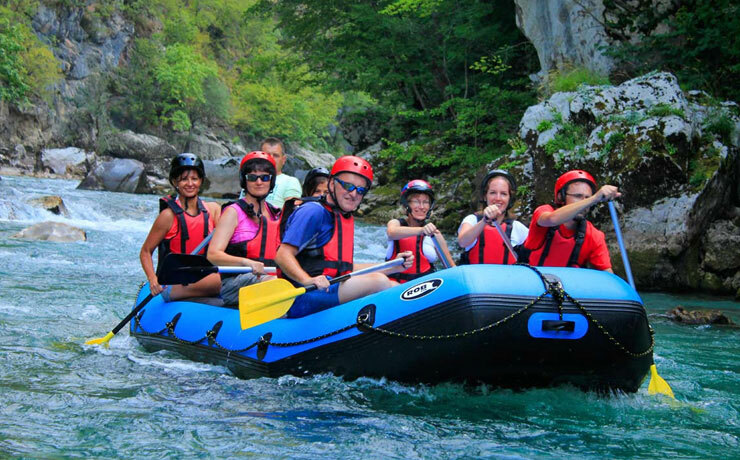 Description: Day 2 - rafting 40km, through the wildest and most beautiful part of the canyon, this part of the canyon is famous for the most number of rapids such as the rapids of Tepča, Bajlovica sige - a miracle of nature, canyon Sušica, Prodrta uso, Jovičića sige, etc. The height of the canyon in this part is over 1300m and as such it takes the second place right after the Colorado Canyon. After rafting our guests will be transported back to Zabljak or Djurdjevica Tara.